Has A Traumatic Event Affected Your Ability To Feel And Function Well? Have you experienced a traumatic event that affects the way you feel and function? 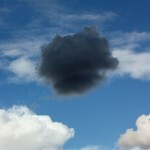 Do you feel highly anxious, stressed and easily triggered, even if the incident occurred quite some time ago? Maybe you find yourself consumed with anxiety, depression or a feeling of being “stuck.” Or, perhaps you’re struggling to perform well at work or in your personal life. Do you feel as if time should have healed these problems, but still find yourself unable to move on? The after effects of a trauma can be confusing, frustrating, and may leave you feeling helpless to find peace with yourself. You may find yourself wanting to get back to “normal,” but no longer know what normal is for you. Fear, anxiety and stress may be so strongly present that you think nothing can or will help. Traumas or dramatic changes can significantly alter how you feel and function. Intense and difficult emotions may linger long after the trauma occurred. It’s not uncommon to experience emotional shifts in your daily life and to become easily agitated or triggered. Thankfully, trauma and Post Traumatic Stress Disorder(PTSD) counseling can help you process the past in a constructive and positive way. Most specifically, there is a practice called Eye Movement Desensitization and Reprocessing (EMDR) that has been clinically proven to help people resolve the emotional impacts of trauma. 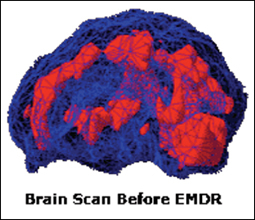 EMDR originally surfaced as a therapy treatment for alleviating trauma-specific distress. This therapy technique can help you learn to let go of distressing areas you may be holding within yourself to make room for positivity in your life. With openness and the right therapist, trauma and PTSD therapy with EMDR can help your body rediscover its ability to heal. Your body is designed to protect you. When you experience a trauma your body creates a protective response. This response acts as a warning signal to safeguard you from similar trauma in the future. The response may make you feel nervous or uneasy and can be triggered by something as simple as typical everyday sounds and sights. When traumas are left untreated, emotional triggers can be detrimental to your wellbeing instead of a safeguard. Your Crossroad’s therapist can help you recognize what triggers are getting in the way of functioning in life comfortably and guide you through EMDR and the healing process that accompanies it. Treating trauma requires a three-pronged approach. With the support and guidance of your Crossroad’s therapist, you will first address your past memories, then examine the current disturbances in your life, and finally conclude with what future actions can be taken to move forward. EMDR is a complementary therapy technique that assists the unfolding of these memories in a logical way so that you are able to process them thoroughly. It uses stimulating rapid eye movement while talking you through past disturbances to help bridge the gap between your brain’s memory networks and the present, allowing you to re-process the trauma in a constructive, self-healing way. This process opens up the past issues in a beneficial way and allows you to learn and grow from difficult experiences. Once the trauma is cleared, you can move past the protective trigger that puts you on edge and welcome in a more appropriate, non-threatening, emotional response. 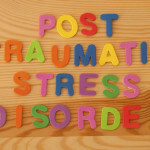 How can trauma and PTSD treatment with EMDR work? There are many ways to approach healing after you have experienced a trauma, but EMDR is one of the only clinically tested therapy processes. This therapy has been measured by conducting brain scans that evaluate brain activity. The scans are taken both before and after treatment. Post-treatment scans reveal a significant decrease in the trauma activity centers. This process has proven beneficial results, which is why we find it valuable in our approach to trauma and PTSD treatment. EMDR sounds like hypnosis. I don’t think hypnosis will help me. EMDR is not hypnosis. The stimulation of eye movement is not meant to put you into a trance, but rather help your brain’s rewiring process reconcile with traumatic or difficult past events. 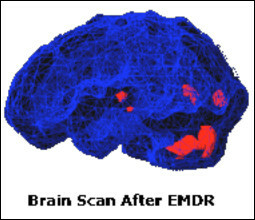 EMDR is also just one facet of our approach to trauma and PTSD treatment. At Crossroads, the role of the therapist is to guide you in your own healing. We do our best to help lead you to your own conclusions, creating wisdom around the past while breaking down psychological walls that you have been unable to access. I have too many issues to reconcile. At this point, I don’t think anything will work. It is never too late to heal. 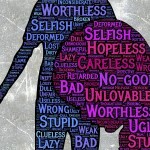 Internalizing self-inflicted negativity can be a hard pattern to break, which is why trauma and PTSD treatment can be so valuable. At Crossroads, we can help you identify the negative reasoning or self-talk you have ingrained within you, and use specific trauma and PTSD treatment with EMDR to help you find positive ways of relating to your situation. EMDR is about helping you find the best way to heal yourself through re-examining the experiences that have impacted you negatively. We understand that the decision to seek professional help can feel intimidating, which is why we offer a 20-minute free phone consultation to allow you time to talk to us and better understand how we can help you specifically. 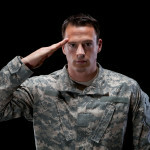 Let us share the healing power of trauma and PTSD treatment with you. Call us today at 623-680-3486 or email info@crossroadsfcc.com.